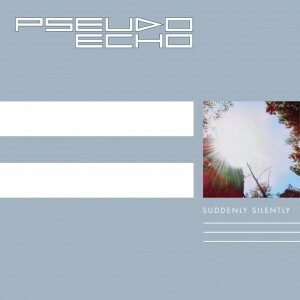 Legendary Aussie pop outfit Pseudo Echo has revealed a brand new single – their first new single release in more than two decades. Though the track itself was penned more than a decade ago – and was due to be included on the band’s ‘Teleporter’ album was back in 2000 – ‘Suddenly Silently’ dropped to digital retail (ironically) suddenly and silently last week. To celebrate the release of the new track and an extraordinary three decades in the business this year, Pseudo Echo are hitting the road throughout August and September for a national anniversary tour. Kicking off in Melbourne on August 04, the band will play dates in New South Wales, Queensland, Western Australia and South Australia, before finishing up in the ACT on Saturday September 15. Thanks a lot for your help. I just checked iTunes again and the single is there. Just downloaded it and played it. Love it. watched these guys on “The Circle” I think they sounded even better than I remember, but wouldn’t have recognised them. great news. According to the band’s publicist, the track is now available on both JB Hifi NOW and iTunes. Investigations are happening right now, Grant. I’ve checked JB Hifi Now and Spotify but nothing there. I have found it at Amazon US and you can listen to a preview. It says there a release date of 27 July. Looking forward to this so any help would be appreciated. I have the Origene version of the song from 10 years ago. Let us do some investigating. According to the presser, the track is out now at both iTunes and JB Hifi NOW. I can’t find the song on iTunes or anywhere. Has it definitely been released?